I recently bought several new(old) scarves on Etsy. I found some wonderful colors including hot pink, orange, yellow, green, and blue. 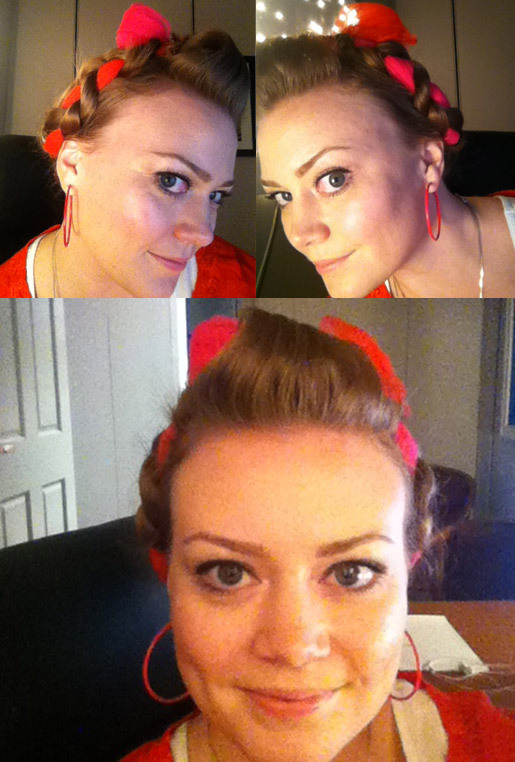 I have been having lots of fun incorporating them into my hair styles. A punch of color can do wonders. 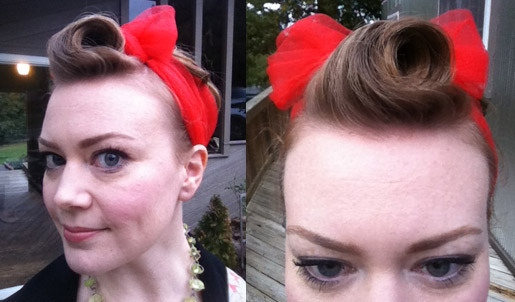 A bright orange scarf with a swirl bang can add a fun vintage flair to any look. If you want to go bolder, wear hot pink and orange scarves together. For this look I braided a hot pink scarf on one side of my head and a bright orange on the other. I then brought them up and tied them in a bow on top.